Nokia 3 smartphone is the second major attempt by Nokia for an Android based smartphone after the X series. If you purchased the newly Nokia 3 Android smartphone and want how to easily enter fastboot mode on this phone, check the lines from below. The fastboot mode environment will allow you to run commands directly from your PC, meaning that you can flash firmware or mods created for fastboot as soon as they are available. Accessing the fastboot mode will not void the warranty of your smartphone and you can safely reboot it without risks. 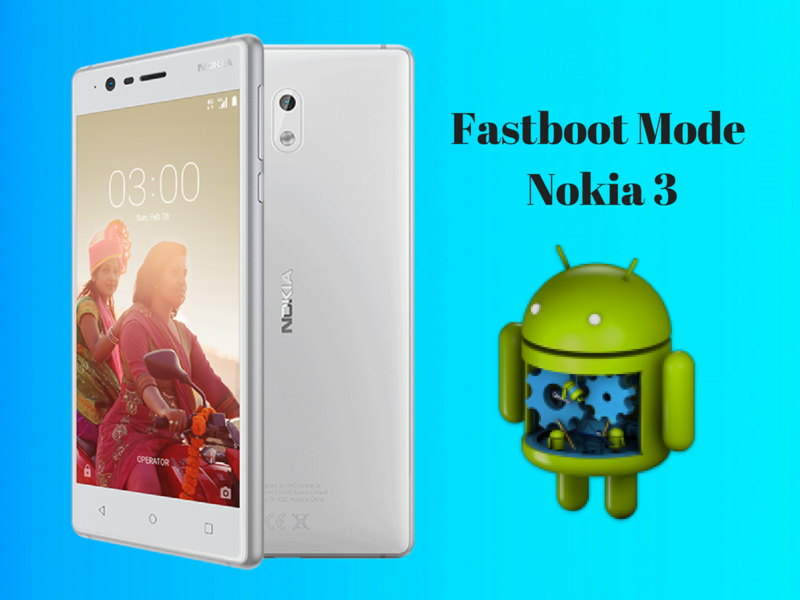 Fastboot mode is a section on the smartphone that you can’t access it through the normal UI but being a built-in utility you will not need any preliminary installation in order to access it. Below you find the steps required to enter the Fastboot Mode on your Nokia 3. Fastboot Mode is needed it if you want to install custom firmware packages, flash a custom recovery or when you want to manually install an official firmware. This mode is meant for developers but if you are an advanced user then there is no such danger in entering into the Fastboot Mode. However, be careful and backup your Nokia 3 before starting to apply this guide or any other manual operation since some procedures can wipe your data files or they might just get corrupted. Therefore, for making sure that all your important data remains safe and secured, backup your phone by syncing your files with the Google account or by using the cloud services that are running on your device. It’s also important to charge your phone before initiating any operation because if your Nokia 3 smartphone runs out of power while trying to reboot its system into fastboot mode, an unexpected shut down might occur. Download and install the Android SDKand set it up with downloading platform-tools and USB drivers package in SDK. Enable the USB Debugging mode on your Nokia 3 device from the Developer Options menu. If you can’t access the Developer Option, go to Settings-> About Phone->scroll down to the Build number field and tap on it for 7 times until you see the message that you are a developer on the screen. Connect the smartphone to your computer using the USB cable. Navigate to the Android SDK folder and open a command prompt with Shift + Right-click and then choosing Open Command Prompt. Type the command: adb reboot recovery. The Nokia 3 device will switch off and then will boot into the recovery mode. Navigate to “Reboot to bootloader” option using the Volume buttons and select it using the Power button. The smartphone will switch off and boot into Fastboot Mode. If you want to return to the normal boot, hold the volume up and power buttons simultaneously for about 10 seconds.